After decades of printing mechanically in a darkroom we introduced what is considered the latest in technological advancement , the ‘giclee‘ print producing incredibly detailed archival prints for both fine art and photography. 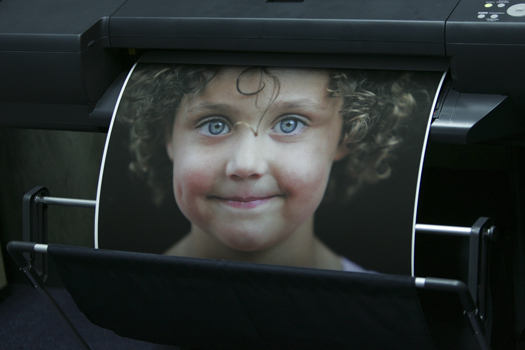 The best photographic inks and papers are used to create archival prints. Giclee incorporates the combination of archival pigmented inks and fine art papers which are individually colour profiled. Giclee prints are bought and sold in auctions worldwide. Utilising an inkjet printer with professional grade nozzles, it takes an experienced printmaker years to achieve the skills necessary to truly produce high quality work. The quality of the giclee print rivals traditional silver-halide and gelatin printing processes and is commonly found in museums, art galleries and photographic galleries. If looked after properly (so not displayed in direct sunlight for example), the permanence of the print can last for well over 100 years.